How to make my TV Bluetooth? Where can I get Bluetooth adapter for TV? Is there bluetooth transmitter and receiver for tv ? How to get Bluetooth converter for TV? How to bluetooth broadcast audio from my TV? Can I get Bluetooth audio transmitter for TV? Answer to all the above question is same, yes, there are many companies selling Bluetooth Transmitter Receiver in market today which can help making your TV Bluetooth compatible with simple 3.5 mm audio jack connector. What a Bluetooth Transmitter Receiver can do for you ? It can act as transmitter or receiver of Audio using 3.5 mm jack. What it means is that you will be able to convert your old wired stereos, TV, MP3 players or even old Computer to transmit audio over Bluetooth, and listen them over a distance of about 33 feet within your wireless Bluetooth headphones or Bluetooth speakers without hassle. Most frequently used and very useful feature is this 2-in-1 BT mode, like simply plugging the BT transmitter to TV and then listen audio over BT headphones, making nights silent for others at home. Also most of them are low latency making video in sync with audio lip movements. So in this review I have tested SoundPEATS MK2 Bluetooth transmitter receiver and compared its specs with most selling TaoTronics TT-BA07 over Amazon. First lets have a look at below specs table highlighting main features and then go for details of each feature. Standby time 15 hours ?? Chrging time 1.5-2 hours ?? Well simply connect the Transmitter Receiver through a 3.5 mm audio jack to your phone or old music player or TV or even a computer and it will begin transmitting audio through Bluetooth to your other audio devices like a Bluetooth headphone or Bluetooth speaker. 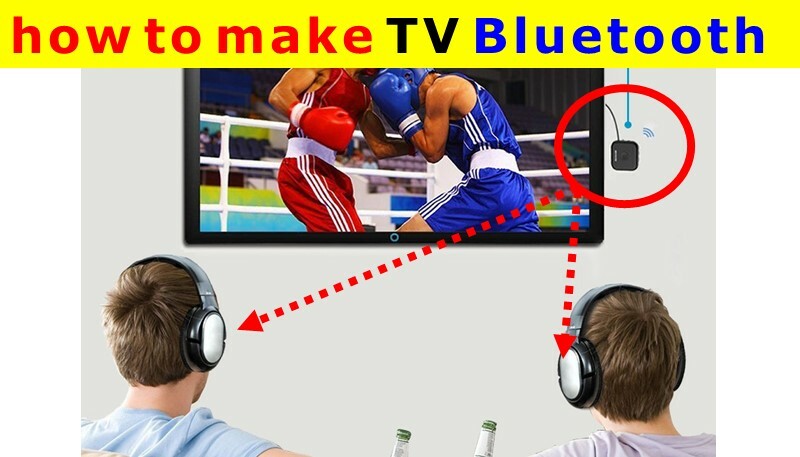 This function is specially useful in converting your TV to Bluetooth capability quickly and at very low cost. Now the specialty is the same device can act as Bluetooth receiver too. Now coming to the hands on review of SoundPEATS MK2. Its pretty nice looking handy model. Tried on music system at my home, which have 3.5 mm audio adapter but no Bluetooth. Worked well. Did not try on my car, since it already has BT enabled music system. I will be still using SoundPEATS MK2 model for a while to test its battery life, charging time etc and update here over a time of about a month. But as on now I am happy with the performance and surely it has got an edge over Taotronics of having a Phone call function at lower price. Now switch on Bluetooth of your headphone or speaker, and locate them within 3 feet from the transmitter. Now press and hold the Power Button for 5 seconds (LED flashes blue slowly), now tap the power button twice, your transmitter will now enter into the pairing mode (LED flashes red and blue alternately). Put your headphone or speaker in Pairing mode, and now the two devices will automatically connect with each other, after successful connection the Blue LED on transmitter will stay solid. Tip : If you connect the transmitter to your non-Bluetooth devices like TV or iPod, then the audio would be transmitted to your stereo!